Did you know it is possible to link your datasets to other datasets across the world, just as you can link websites to each other? The semantic web, is like an ‘internet’ for datasets and by transferring your dataset in a particular format (RDF), you can easily retrieve information from other datasets. Imagine how easily you could augment your own data with georeferences or national statistics! Technically more accurate, you would not actually be linking, but querying the data. When transposing your data into RDF, you will use a common format (or create your own) to describe your data. Since others have also done this, it is possible to ‘link’ the data, or rather query across datasets. Sounds complicated! And I’m not a techie! No problem! That’s why we have created some tools to help you out. 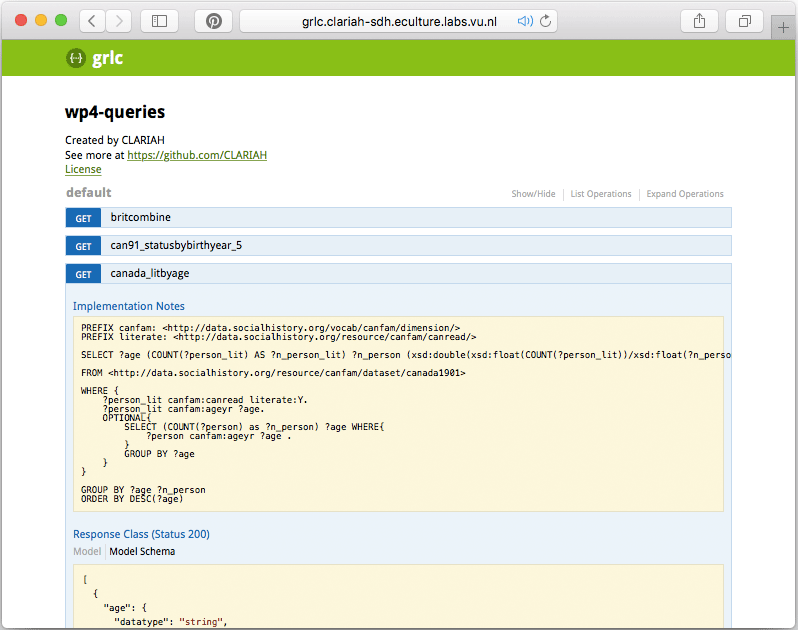 automatically converting your SPARQL queries into RESTful APIs. With (almost) no effort !